The Holst Memorial Lecture and Symposium are organized by Philips Research and the Technische Universiteit Eindhoven (TU/e). The Holst Lecture 2014 was held by Dr. ir. Robert Cailliau, co‑inventor of the World Wide Web, the internet based hypermedia initiative for global information sharing. 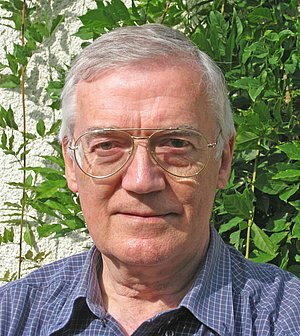 Born 1947 in Tongeren, Belgium, Web Pioneer Robert Cailliau studied at Ghent University, where he received a MSc (Electrical and Mechanical Engineering) and at the University of Michigan (MSc Computer, Information and Control Engineering). From 1974 to 2007 he worked at CERN, the European Laboratory for Particle Physics in Switzerland. Around 1990, Cailliau and his colleague Tim Berners-Lee proposed a hypertext system for access to the CERN documentation, which eventually led to the World Wide Web, a name coined in that period. WWW was introduced in the public domain by CERN in 1993. Cailliau is co-founder of IW3C2 (the International WWW Conference Committee). In 1994 he started the Web for Schools project. His publications range from topics related to mechanical engineering and computing to a History of the World Wide Web. He received various awards, which include the 1995 ACM Software System Award (with Berners-Lee) and the 1999 Plantin Prize (Antwerp). He also received three honorary doctorates (University of Ghent, Southern Cross University, Université de Liège) and was inducted in the Internet Hall of Fame (2012). On the occasion of the celebration of the Philips Research Centenary, dr.ir. A.E. 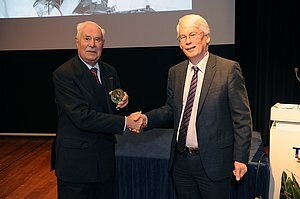 Pannenborg has received a Honorary Holst Medal for his important contributions to the Research and Innovation Policy at Philips. Eduard Pannenborg (‘s-Gravenhage 1922) was director of the Natlab from 1963-1968, director of the Philips Research Laboratories in Germany and later, as Member of the Executive Board, responsible for all Research and Development at Philips. The theme chosen for the Symposium '100 Years of Innovation with Light' reflects both the history and the future of Lighting Research. Four eminent speakers from both the Academic and Industrial Lighting Innovation Communities talked about scientific and other developments impacting lighting and the effect on people.